November 30, 2018 — Last Friday, the Jesuit Provincial of Canada, Fr. Erik Oland SJ, sent a letter to Canadian Prime Minister Justin Trudeau and Canada's Minister of Immigration, Ahmed D. Hussen. to challenge them about the "powerful military response" deployed by the US border and political authorities to Central American migrants who arrived at the border with Mexico and the United States last week. Describing this migratory wave and the brutal response of the US authorities as "humanitarian drama", the Provincial recalls the causes of this caravan, evoking the plea of our Honduran companion Ismail Moreno Coto, SJ. 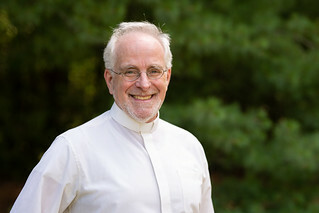 "My fellow Jesuits in the countries of origin of migrants, particularly in Honduras, attest that the said" caravans "are composed of a large number of children, women and men who flee the misery and repression of their home country which is a situation even more dangerous than the huge risk they take with this march to find some hope. In the eyes of the Provincial, the Canadian government can not remain silent in the face of this tragedy to which it has its share of responsibility. In particular, it acknowledged and supported Honduras' fraudulent election government, which is at stake in the growing repression suffered by the Honduran people. And it is slow to appoint an ombudsman for Canadian mines and to put in place a mechanism to control them, which is also responsible for insecurity, poverty and the deterioration of the living environment from which migrants come". He urges the Canadian government to show "leadership" in finding a solution to this tragedy, in partnership with the US, Mexican, Honduran and Central American authorities. And this, in order to "protect the migrants who are currently asking for protection and not tolerating any violation of the dignity and rights of these people". The Provincial again calls on Canadian authorities to appoint an ombudsman to "investigate the abuses of Canadian mining companies." It also urges the government to "act with hospitality and do its part by giving asylum to some of these migrants".